Reporting to the Vice President for Administration and Planning, Megan leads both the Program Review and Planning teams. In her role over these units, she is responsible for the execution of all Program Review visits at Northwestern and the coordination of the Planning team's activities across the University. Prior to joining Administration and Planning, she worked for Deloitte Consulting, where she advised companies on change management and communications related to mergers, technology adoptions and other organization transformations. Megan previously worked in the Office of Administration and Planning from 2006-2010, supporting key functions including Program Review. 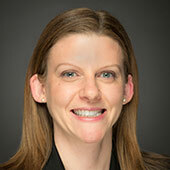 Megan has an MBA from the Kellogg School of Management and a BA in History from the Weinberg College of Arts and Sciences at Northwestern University. Kristi is responsible for leading unit-level strategic planning efforts and supporting cross-unit strategic planning initiatives. Prior to this role at Northwestern, she was the Senior Associate Director in the Office of Global Strategy and Initiatives at Emory University where she provided leadership for the implementation of Emory's global strategies. 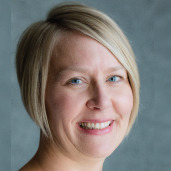 Kristi had been part of the Emory community since 2002 when she joined the Emory College of Arts & Sciences’ Center for International Programs Abroad, working closely with students and faculty on semester and summer study abroad opportunities. Previously, she held positions at North Carolina State University and at the American InterContinental University – London. She holds a bachelor's degree in English from Trinity University in San Antonio, Texas and a master’s degree in student personnel services from the University of South Carolina.